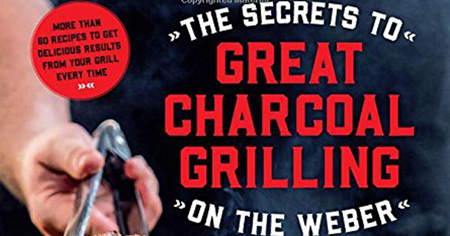 Champion pitmaster Bill Gillespie is back with his third book, and this time around, he’s giving readers a thorough but easy-to-follow roadmap to use on their journey to master charcoal cookery. 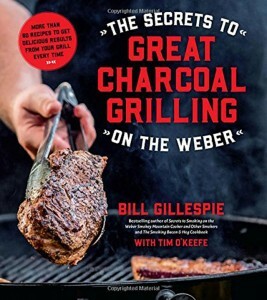 In Bill’s comprehensive guide, The Secrets to Great Charcoal Grilling on the Weber, he starts with the basics like setting up the grill, and throughout the book reveals his tried-and-true tips and tricks culled from years of competitive barbecue. 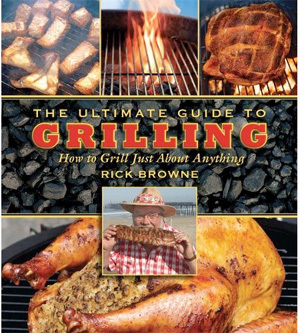 With Bill’s valuable insight and recipes, both beginners and seasoned pros alike will be charcoal grilling like a champ. 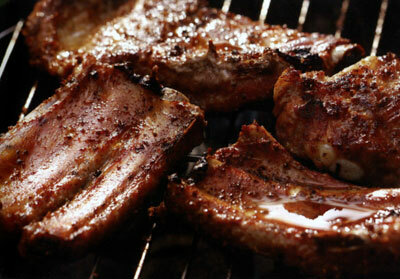 After Bill guides readers through the grilling basics, he gets straight to the recipes. Chapters are mostly divided by protein category: Moo (Beef), Chicken (Fowl), Pork (Swine), Game Meats, Sausage and Tube Steaks, Finz and Shellz. 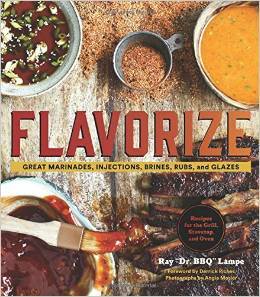 Sample recipes include Tinfoil Stew, Beer Can Chicken, Grilled Duck Breast, Grilled Loin of Venison and Grilled Shrimp Cocktail. Luckily for readers, there’s also a Competition Barbecue chapter with Bill’s winning recipes for chicken, ribs, brisket and more. And to highlight the range of dishes you can make on your Weber, Bill includes chapters for Pizza, Grilled Sandwiches, Apps, Sides and Veggies and even Fruit and Desserts. Bill Gillespie is the bestselling author of Secrets to Smoking on Weber Smokey Mountain Cooker and Other Smokers, which has over 100,000 copies in print, and The Smoking Bacon & Hog Cookbook. He’s also the pitmaster of Smokin’ Hoggz BBQ, an award-winning barbecue team that has claimed top prize in the Jack Daniel’s World Championship Invitational Barbecue and the American Royal Invitational, as well as capturing hundreds of other barbecue awards. He lives in Abington, Massachusetts.